An old problem for marijuana users was finding a reliable source. Now as cannabis or the cannabidiol derivative is legal, at least to some degree, in all but four states, an online business is growing, connecting sources, brands, producers and other kinds of vendors with each other. Nugl is a metadata search engine and online directory for the legal marijuana industry, with a database that, according to its own business descriptions can “display listings for dispensaries, strains, doctors, lawyers, service professionals, vape shops, hydro stores and brands.” It started last year. Its app is downloadable from Android and Apple stores. The expanded Nugl platform, announced today to cover all of North America, offers profiles of cannabis companies and professional services related to the business, an organized marketing website for B-to-B applications, and related consumer uses. James Jordan, the company’s new vice president for strategic relations, says real estate agents and accountants could hook up with fledgling cannabis companies through the site, and says it also is a way for “the growing brands of strains and dispensaries” to find each other. That basket of users could range from investors to brands to stereotypical potheads. The grower of a strain of marijuana might announce it via the site, while users might rate it. Members who self-describe themselves as investors could find entrepreneurs who need some funding angels. Nugl, which is traded over the counter and means to cover the world market, knows that funding cycle well. Jordan was tapped earlier this year by Nugl CEO and founder Brandon Vargas, who grew up in the cannabis business and saw the yawning gap in information. Nugl says its information on brands won’t be biased. 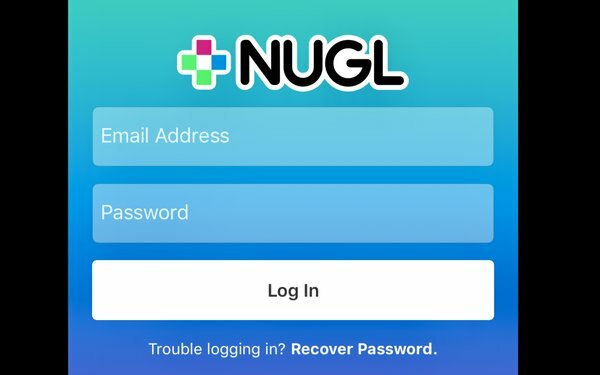 The Nugl app can act like Yelp, Facebook, LinkedIn, Google and other social sites as it serves purveyors and users still trying to find each other, says C.J. Melone, a consultant for the Boxy software that operates on the Firebase mobile app owned by Google parent Alphabet. “It will be really interesting to see the evolution of this app as it grows and to see how users use the tool,” Melone tells Marketing Daily. Now investors are charging full speed ahead. Just yesterday, William Wrigley Jr. II from the famous Chicago chewing gum company (sold in 2008), led a $65 million investment round for Surterra Wellness, a medical cannabis startup in Georgia, where he planted himself as chairman. He told Bloomberg he hopes to use his knowledge of product distribution and marketing to propel sales. Surterra for now is staying the medical end of the cannabis business. But he told the news service he expects Surterra to eventually enter the recreational business. Altogether the legal cannabis industry took in $9.2 billion in 2017 in the United States, according to BDS Analytics. It’s expected to grow to $47.3 billion in this country a decade from now.